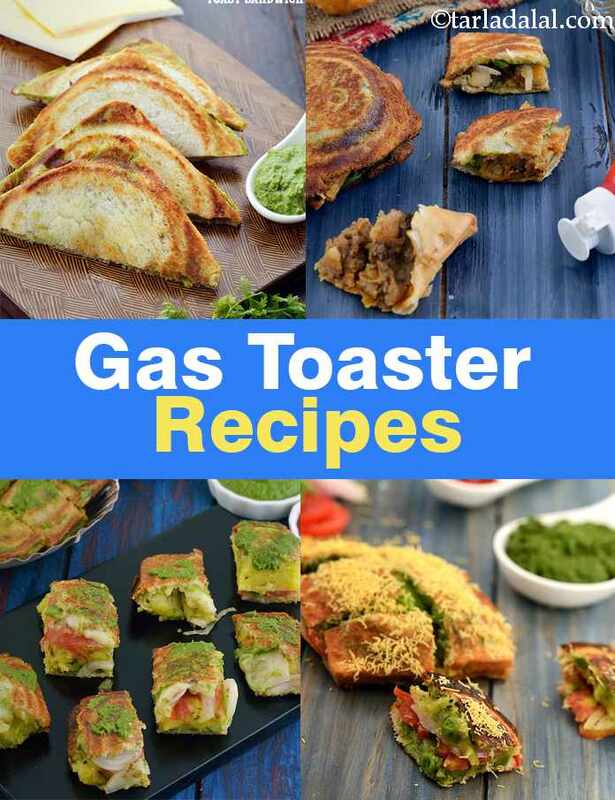 gas toaster recipes. hand toaster recipes. A gas toaster/ hand toaster is a kitchen tool designed to make toast sandwich directly on the gas stove. It is square in shape with a cavity to place the sandwich. You simply have to press the sandwich lightly by shutting the toaster with the opposite handle. Lock it and flip to make crispy sandwiches quickly and easily. The surface of a hand toaster can be plain or with a 3-Ribbed Design that allows more stuffing to be filled. The gas toaster can be of various material like stainless steel, non-stick, etc. The non-stick gas toaster is more convenient as they make use of less fat and are easy to clean and handle. Make cooking a lot easier with these specialized tools that are not only easy to clean but also, easy to store. You will often see roadside stalls selling a variety of toast sandwich. The toasting gives a nice crunch to the sandwich and it tastes yum with a side of spicy green chutney and tomato ketchup. Here is a list of famous toast sandwich recipes made using a gas toaster. With just a handful of ingredients like bread, butter, greeen chutney and cheese you can quickly toast this delectable Mumbai roadside recipe. A spicy aloo stuffing topped with sliced tomato, onion, capsicum is sandwiched between a chutney smeared bread is toasted till golden brown in a gas toaster and garnished with sev makes for a sumptuous snack that will keep you going for an hour or two. An addition of grated cheese to make Cheese Masala Toast Sandwich, an appetizing snack that one just cannot resist a bite. This is one of my favorite sandwich variant combining samosa and veggies. The crispness of the bread and the filling samosa contrast beautifully when toasted in a hand toaster making this an ever-popular snack. Everything about the Cheese Chilli Toast is awesome, right from the buttery crispness of the bread to the gooeyness of molten cheese and the juicy bite and sweetness of capsicum. Relish it hot and fresh when removed from a gas toaster. Enjoy our collection of 5 Hand Toaster Sandwich recipes.